Welcome on board for this journey that will lead us to Germany and Austria (Schumann, Reinecke ,Berg), France (Debussy) and the USA (Corigliano). Most of them are major composers of their time. Reinecke has inexplicably to be rediscovered. He wrote wonderful music, particularly for clarinet. Thank you Mathias for such a choice and enjoy the musical journey! In 1849 Schumann wrote three pieces of chamber music for wind. In February – in a week – the famous Fantasiestücke Op.73 for clarinet and piano and the Adagio et Allegro, Op.70 for horn and piano, and on December 7, 11 and 12 in Dresden the Three Romances for oboe and piano. The publisher Simrock has published alternative parts for clarinet or violin. Schumann is said to have offered these pieces at Christmas to his wife Clara as his 100thwork. The first public performances were in January and February 1863 in Leipzig with Danish oboist Emilius Lund and Carl Reinecke as pianist. The manuscript, sadly, is lost. This piece was given the same title as Schumann’s Op.92 composition for piano and orchestra. A slow Introduction in C minor is followed by an Allegro movement in sonata form, which moves conventionally from minor to major, only to revert to C minor for its conclusion. This formal scheme, albeit simple, is the vehicle for an impressive display of thematic transformation, whereby the principal theme of the Allegro is rigorously derived from the quasi-improvisatory opening of the Introduction; the turn figure common to both is the clearest clue to the connection. The piece was first published in 1901. Debussy accepted in 1910 the request from Gabriel Fauré, director of the Paris Conservatoire, to compose two pieces for a clarinet contest. He provided Petite Pièce for sight-reading and this Première Rhapsodie dedicated to Prosper Mimart, clarinet professor from 1905 to 1918. The premiere was held on July 14, 1910 at the Paris Conservatoire. The first public performance, however, was not given until January 16, 1911, at the Salle Gaveau in Paris by the the Société Musicale Indépendante, with Prosper Mimart on clarinet and Maria-George Krieger on piano. (A version orchestrated by Debussy was played for the first time in Russia, then in 1919 in Paris). Debussy enjoyed the “romantic sweetness” of the clarinet; he gave birth to a piece that the composer considers “one of the most pleasing I have ever written” (letter to publisher Jacques Durand in 1911 after the premiere in Russia with orchestra). And this piece sounds typically Debussian. As clarinettist Guy Dangain noticed, Debussy’s music generally used very soft tones: “In the Rhapsodie for clarinet, written in 206 bars, there must be only around thirty played forte. The tempo of the beginning “rêveusement lent” (“dreamily slow”) and the general atmosphere changes as the work advances, the clarinettist is invited to play in a very expressive way and with great virtuosity, passing alternately from a playful mood to pure poetry; and the great possibilities of the instrument are used (the different registers, sound resources, etc..)”. No particular clarinettist seems to have inspired Berg, but the Viennese School was attracted by the possibilities of the instrument (18 chamber or chamber/vocal pieces with clarinet from Berg, Schönberg, Webern). Berg chose to write a series of miniatures (six were planned at first), which Schönberg found too brief, excluding a thematic development, but Berg dedicated them to him. The first known performance was six years after in Vienna on October 17, 1919 with Franz Prem of Volksoper and Eduard Steuermann, piano. In this revolutionary piece, Berg replaces the tonal form of the sonata by structural sections (often punctuated by silence) and the return of specific melodic cells. The Chamber Concerto was composed one year before his death and also dedicated to his former teacher, this time to celebrate his 50th birthday. It was, however, the 50th birthday of Berg to which we owe this reduction, first planned for violin and piano. Then Berg himself indicated to violinist Ms Dea Gombrich the notes he wanted for the clarinet by encircling the notes of the score. Ms Dombrich remembers playing this trio several times in Europe with clarinettists Friedrich Wildgans and Eric Simon and possibly with pianists Eduard Steuermann or Rita Kurzmann. Soliloquy is in fact the second movement of the famous Clarinet Concerto of 1977 (commissioned by the New York Philharmonic, dedicated to Leonard Bernstein and clarinettist Stanley Drucker). This movement was adapted in 1995 for string quartet. In the concerto, it was called Elegy and written in memory of Corigliano’s father who was concertmaster of the N.Y. Philharmonic for 23 years, hence the long dialogue for clarinet and violin. I could play this in chamber music”. It’s called Soliloquy because Corigliano composed another Elegy in 1965, an orchestral work. 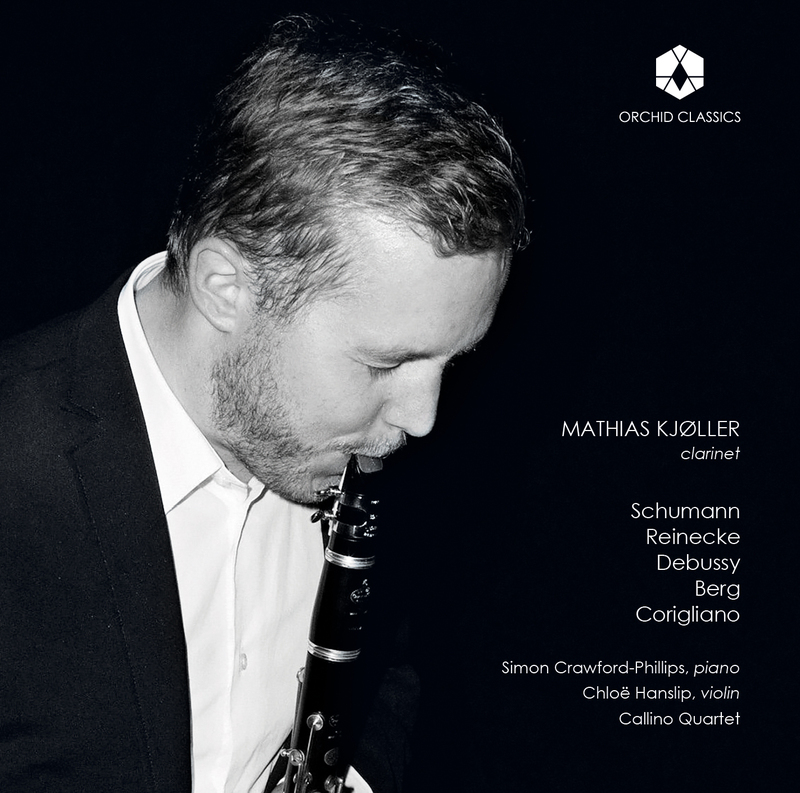 Mathias Kjøller has received praised by critics and audiences alike for his silky-smooth sound, and his impressive flexibility on his instrument. He wins over listeners with his musical diversity, sensitivity and curiosity. He insists on conquering new fields musically, and he feels at home in all classical periods, whether he is playing transcriptions of Bach’s Goldberg Variations, the romantic masterpieces or premiering new works. In the same way he often puts together his concert programmes unconventionally: the music in this recording is connected by its rather gloomy ambience and atmosphere rather than geography or chronology. After studies with John Kruse and Yehuda Gilad, Mathias was appointed principal clarinettist in Aarhus Symphony Orchestra at an early age, and he has been combining his orchestra positions in Aarhus and the Danish National Symphony Orchestra with his chamber music activities ever since. He gained international attention in 2013, when he was awarded Second Prize as well as several special prizes at the International Carl Nielsen Clarinet Competition. 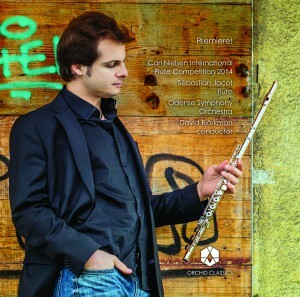 Mathias is a highly sought-after chamber musician as well as orchestral clarinettist. He works with musicians such as the Danish String Quartet, Marianna Shirinyan, Andreas Brantelid, Chloë Hanslip, and he guests at festivals such as West Cork Chamber Music Festival and Bergen International Festival. Chloë Hanslip has already established herself as an artist of distinction on the international stage. Prodigiously talented, she made her BBC Proms debut in 2002 and her US concerto debut in 2003, and has performed at major venues in the UK (Royal Festival Hall, Wigmore Hall), Europe (Vienna Musikverein, Hamburg Laeiszhalle, Paris Louvre and Salle Gaveau, St Petersburg Hermitage) as well as at Carnegie Hall, Metropolitan Arts Space in Tokyo and the Seoul Arts Centre. She has performed with the Symphonieorchester des Bayerischen Rundfunks, Philharmonia Orchestra, Royal Philharmonic Orchestra, London Philharmonic, Beethoven Orchester Bonn, Norwegian Radio, Royal Flemish Philharmonic, Tokyo Metropolitan Symphony, Adelaide Symphony and the Auckland Philharmonia. 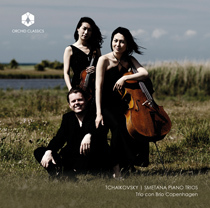 A committed chamber musician, she is a regular participant in Open Chamber Music at Prussia Cove and at the Kuhmo Chamber Music Festival in Finland. Her recital partners include Angela Hewitt, Danny Driver, Igor Tchetuev and Charles Owen. Chloë studied for ten years with the Russian pedagogue Zakhar Bron. She has also worked with Christian Tetzlaff, Robert Masters, Ida Haendel, Salvatore Accardo, and Gerhard Schulz. She plays a Guarneri del Gesu 1737. With regular duo partner Danny Driver, she is currently recording the complete Beethoven Violin Sonatas for Rubicon Classics, the first disc of which was released in October 2017. Since its formation at the West Cork Chamber Music Festival in 1999 the Callino Quartet (Sarah Sexton, Tom Hankey, Rebecca Jones and Sarah McMahon) has been impressing international audiences and critics alike with their bold, imaginative and sensitive performances. They have cultivated a challenging and eclectic repertoire, performing and collaborating with many diverse musicians including the Belcea string quartet, double bassist Edgar Meyer, pianist Barry Douglas, singer Patricia Rozario, rock band Arcade Fire, Bell Orchestre and jazz musicians John Abercrombie and Sophie Dunér. They are passionately committed to contemporary music and have worked with composers Edgar Meyer, Peteris Vasks, Aleksandra Vrebalov, Alexander Knaifel, Franghiz Ali-Zadeh, Ian Wilson, Raymond Deane, Ronan Guilfoyle and Ben Dwyer closely on their works for string quartet. The quartet’s first commercially successful CD of the complete quartets by Ian Wilson was followed by a recent Louth Contemporary Music Society recording of music by Arvo Pärt, Valentin Silvestrov, John Tavener and Alexander Knaifel. Their recent recording of Haydn’s Seven Last Words has just been released on the ‘Coro’ label. The Callino Quartet take their name from the Irish air ” Cailin cois tSuir a me” which means Girl by the River Suir. This song was the first Irish air to be notated in the late 16th century and became known as the Callino manuscript. It is now on display in Trinity College library, Dublin. The Quartet is very grateful to John Whibley for his sponsorship and continued support.